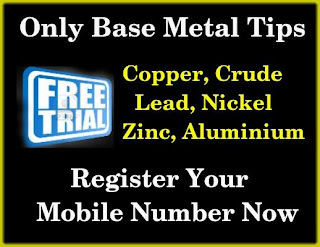 MCX metals are on good position, today bullion moves upside with an increment in dollar. If we talk about base metal a low increment are seen on intraday trading at MCX for future delivery. This time is good to invest for medium long term, in base metal especially in copper and nickel and lead. Currently copper are near 3 year low on global market ,in china data showing a low manufacturing in June for metal demand. But if we talk about domestic Multi commodity exchange a good rally has been seen yesterday that end at 417.15 and on Tuesday it open at 416.50. Meanwhile at LME copper traded near $6887.25 per tones. On domestic market nickel prices are flows high on due to rise on demand from alloy industry. On intraday trading nickel look in sharp side and expected to trade near 837-840 in today trade with an increment in this yesterday position.